A beautifully designed one bedroom apartment in the MOST central location and unique industrial designed inspiration. 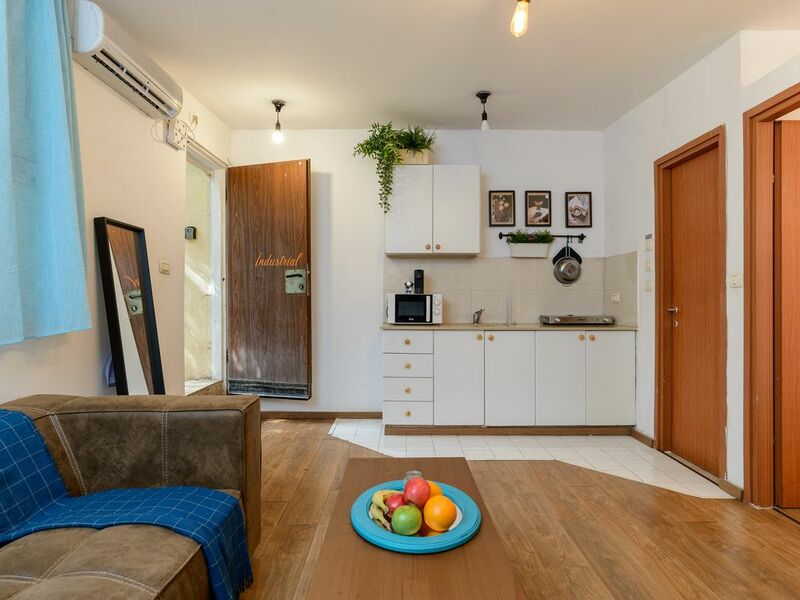 Steps from the beach, the boardwalk, coffee shops bars, supermarkets , Dizengoff Mall and you name it..
You will have all the piece and quiet to enjoy your well deserved vacation. Is a one bedroom apartment with an industrial atmosphere all over. The cozy living room has a confy couch where you can chill and watch our vast selections of movies. The bedroom has a comfortable queen size bed with quality pillows and linen. Amenities include air conditioning, free cable TV, free wireless internet, fresh bed linen and towels. You will also have access to our little garden where you can enjoy your morning coffee and feel the Tel avivian vibes.